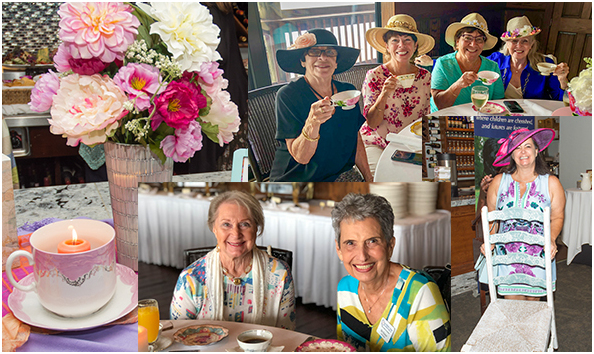 You and your friends will enjoy a delightful tea party with lunch while placing silent bids on hand painted chairs and other works of art from talented artists. We’ll have amazing raffle prizes, live music and other fun surprises inside the beautiful ballroom at the Bonita Bay Club! With this selection, you will select your seats from those available as guests enter the room. With this selection, you will have a reserved table with your name or company name clearly labeled to ensure you and your friends can all sit together. Name: Our Mother's Home of Southwest Florida, Inc. Description: The Mission of Our Mother’s Home is to transition teen mothers and their babies from foster care and human trafficking to stable, happy, and productive lives by providing a safe and nurturing home, education, parenting support, along with physical, mental and spiritual care. Our Mother’s Home provides a safe and nurturing environment for teen moms (ages 12-21) in foster care and their babies. Prior to the launch of Our Mother’s Home in 2000, teenage mothers in foster care were often separated from their child at birth. This unique home is the only one in Southwest Florida to provide service to break the cycle one teen at a time.